"for a long time, there have been newspaper stories and covers of magazines that talked about ‘The end of antibiotics, question mark?’ Well, now I would say you can change the title to ‘The end of antibiotics, period.’"
"We’re in the post-antibiotic era," he continued. "There are patients for whom we have no therapy, and we are literally in a position of having a patient in a bed who has an infection, something that five years ago even we could have treated, but now we can’t." 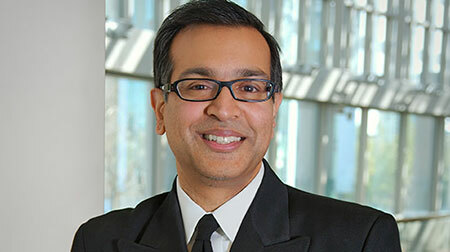 As an example, Dr. Srinivasan discussed the spread of Methicillin-resistant Staphylococcus aureus, or MRSA, which recently made headlines when word spread that three players from the NFL’s Tampa Bay Buccaneers were battling it. The options for treating it have always been limited, but until the past decade, MRSA infections were rarely seen outside of health-care facilities. "outbreaks in schools [and] health clubs. And what most of these people were getting was something very different from what we saw in hospitals." "In hospitals, when you see MRSA infections, you oftentimes see that in patients who have a catheter in their blood, and that creates an opportunity for MRSA to get into their bloodstream," he continued. "In the community, it was causing a very different type of infection. It was causing a lot of very, very serious and painful infections of the skin, which was completely different from what we would see in health care." Because such infections can’t be treated with conventional antibiotic therapies, doctors have begun to "reach back into the archives" and use older antibiotics. "We’re using a lot of colistin," Dr. Srinivasan said. "And we’re using more of it every year. It’s very toxic. We don’t like to use it. It damages the kidneys. But we’re forced to use it in a lot of instances."